Summer Vacation is a time to make memories, be with family and friends and soak up much needed relaxation time. At C. Crane, we are fortunate enough to take vacation to spend time with family and friends. Some of us decided to share our past vacation experiences to show what we do when we are away from the office. 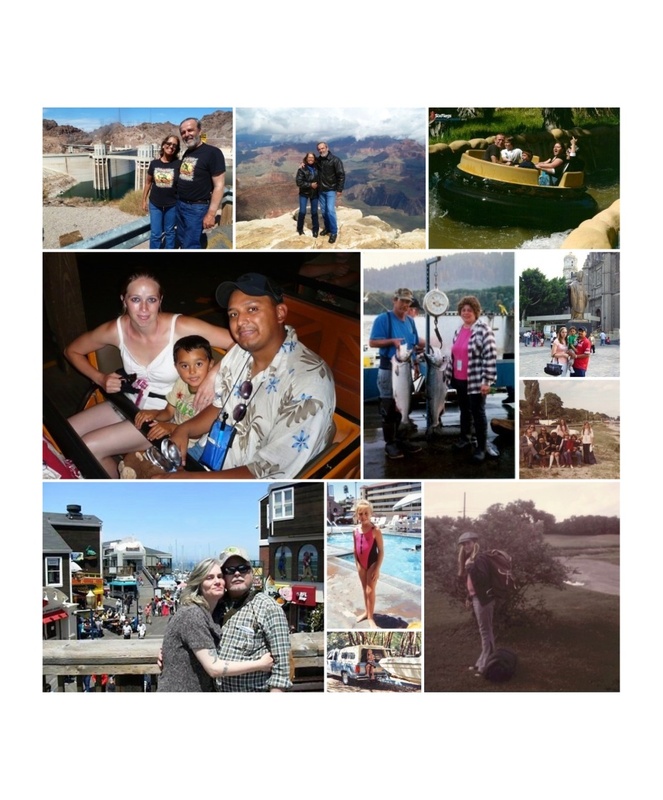 Top and middle left: Sue and her Sweetie Scott at the Hoover Dam and Grand Canyon. Top right: Tara, her youngest son Bailey in the white shirt, Bailey’s best friend Preston, her oldest son Derek is next to Tara and her husband Sage at Six Flags Discovery Kingdom in 2012. Middle left: Edgar on his trip to Disney World in Florida when his son Joey was 5. He had gone to Florida to attend a conference and his family met him in Orlando after his conference was over. Middle: Kim with her husband Gene fishing on the river in Northern California. Right middle top: Edgar with his Family on their first trip to Acapulco, Mexico when his son Joey was about 4 years old. Here they are Mexico City in front of the statue of Pope John Paul II at the Lady of Guadalupe Cathedral in Mexico City. Middle Right: Carolyn, 9 years old in Denmark, Summer of 1974. Bottom Left: Katie and her husband Dave on Pier 39 in San Francisco. Bottom middle: Jessyca M at the pool on summer vacation in Disneyland in Los Angeles, CA. 1991. And camping at Lake Mendocino in Northern California in 1992. Bottom Left: Carolyn at 10 years old, packed and ready for Summer Camp in 1975. Thanks for sharing. Hope everyone has a great summer.